Do you want to dig into Ulule data or operate crowdfunding campaigns on you own website? This should be a good start. If you have any question, send us an email at api@ulule.com or open an issue on our github repo. We will keep you posted shortly with new features and business cases. Enjoy! Where possible, Ulule API strives to stick to the REST convention: we use HTTP verbs such as GET, POST, PATCH and DELETE and return appropriate HTTP response codes (2xx for success, 4xx for client errors and 5xx for server errors). We use JSON to encode all resources and decode all payloads, except file uploads that must be encoded with multipart/form-data. Most endpoints that return a list of resources use the same pagination system. The pagination is cursor-based and returns objects created before a timestamp in reverse chronological order. The limit and since URL query parameters may be used to retrieve different pages. A meta object is returned in the response beside the actual resource. This object contains field describing the current page and the next page if it exists. The following languages are supported by Ulule API. Some payloads and resources contain fields of type i18n object. An i18n object is a JSON object that contains i18n translations. Object keys are language codes (see supported languages), and object values are translation strings. "fr": "Ceci est la description en français"
In order to get all the translations of an i18n field in the resource, the query string parameter lang=all must be specified in the URL for the three GET, POST and PATCH HTTP methods. If the parameter lang is not specified in the URL, the resource returned contains the translation for the parent object lang and the translations present in the request payload. 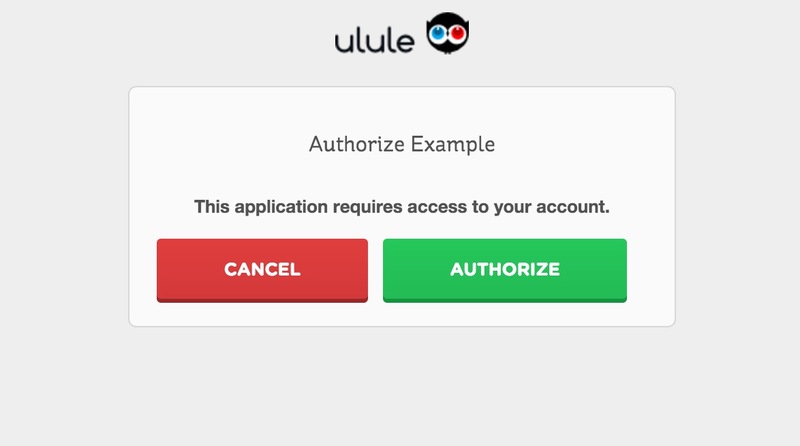 Ulule API has a versioning system to manage upgrades without breaking backward-compatibility. The API version controls the API observable behavior, for example the fields present in resources, etc. When we must introduce a backward-incompatible change, we release a new version named after the current date. To avoid breaking external programs, these versions are always opt-in and must be explicitly requested. To request a specific version, add the Ulule-Version HTTP header to the request. This version turns the account, manager, notes, owner.stats, rewards and user_role fields from the project resource into extra_fields. They must be explicitly specified. This version adds validation to extra fields: if the request contains an extra field that doesn’t exist, or an extra field that the user doesn’t have permission to read, an error is returned, instead of silently accepting the request without the extra field. This version turns the main_image, main_tag, owner and user_role fields from the search-projects endpoint into extra_fields. They must be explicitly specified. This version removes the full_name, name, and region fields from the location resource. This version changes the permission of the list-user-projects endpoint: this endpoint is now accessible to all users. This version changes the permission of the user-detail endpoint: this endpoint is now accessible to all users. This version changes the permission of the projet-detail endpoint: this endpoint is now accessible to all users before its status is online. This version changes the validation of the user-create endpoint: the password1 payload field must now have a score of at least 1 with the zxcvbn password strength estimator. Extra fields are a way to control which fields and resources are embedded in a response. Depending on the use case, API clients sometimes don’t need embedded resources for a specific endpoint, so adding them is a waste of computing resource and network bandwidth. Other clients may want 2 or 3 levels of resource embedding on the same endpoint, so that they can get the data they need with only one request. The goal of extra fields is to address this issue. To add an extra field to a response, add the extra_fields parameter to the URL. To add more than one extra field, separate the values with commas. To nest embedded resource, separate levels of embedding with dots. In most of the cases, data that is publicly readable on the Ulule website is also readable via Ulule API without authentication. However, to read private data or to write data, requests must be authenticated. There are three ways to authenticate through the API. To read private data, HTTP Basic and API key are usually enough. To write data, OAuth2 is required. $ curl --user "username:password" "https://api.ulule.com/v1/..."
The username:password pair is the same authentication information used to log in to the Ulule website. Instead of the username and password couple you can provide the API key which can be found in the account settings on the Ulule website. $ curl -H "Authorization: APIKey YOUR_API_KEY" "https://api.ulule.com/v1/..."
The access_token will allow you to log as a user by passing it in each request. $ curl -H "Authorization: Bearer USER-ACCESS-TOKEN" "https://api.ulule.com/v1/..."
To retrieve an access token, use the POST https://connect.ulule.com/oauth2/token/ endpoint. Please, do not forget the slash at the end, just after “token”. This slash is required. The request must be authenticated with the Basic method with the credentials being your client_id and client_secret. where PGNsaWVudF9pZD46PGNsaWVudF9zZWNyZXQ+ is the base64 encoding of the <client_id>:<client_secret> string. # Your partner client ID. # Your partner client secret. # The user's Ulule username. # The user's Ulule password. # passing it as a header. # POST parameters. Do not forget to add HTTP Basic header. # Expect a 200 status code. This script can be easily rewritten in any programing langage. You now have an access token to automatically authenticate the user on Ulule. Access tokens expire after 10 hours. # The user's refresh token. You now have a new access token to re-authenticate the user on Ulule. 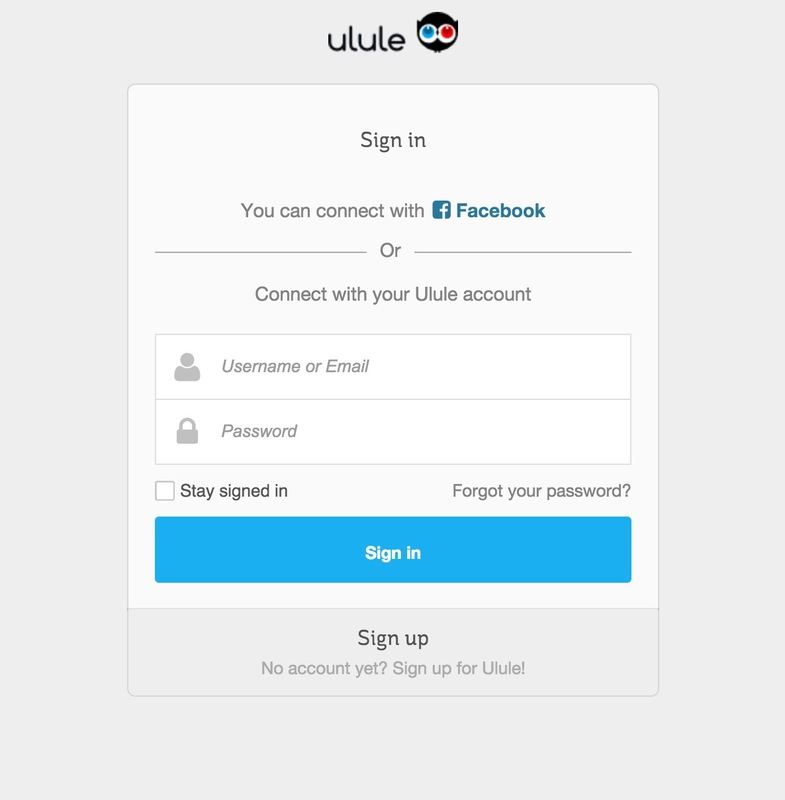 Ulule connect allows users to connect their Ulule account to partner websites. The following query parameters are required. A convenient way is to use this URL in a pop-up. The redirect URI, or redirection endpoint, is used to redirect users after sign in or sign up. Only registered redirect URIs are allowed. Only one registered URI can be set in the Ulule Connect request, but you can register as many as you want. If response_type is token, the access token is accessible at the redirect URI as a URL fragment. You can stop reading. If response_type is code, an access code is sent to the redirect URI via the code URL query parameters and the access token can be obtained from it. Read the next section. Use the POST https://connect.ulule.com/oauth2/token/ endpoint as described in the OAuth2 section. # Your registered redirect URI. This is the reference of all Ulule API resources. The user resource represents a user registered on the Ulule website, possibly via a partner website. country string Two-letter ISO code of the country where the user lives. Retrieves the user with the given ID. Creates a new user. The created user is a member of the partner with the given slug. This endpoint is only accessible to partner users. Updates the user with the given ID. This endpoint is only accessible to oneself. Deletes the user with the given ID. This endpoint is only accessible to oneself. Retrieves all the users that has been registered via the partner with the given slug. This endpoint is only accessible to partner users. Retrieves all the users that are supporters of the project with the given ID. If the project is online, this endpoint doesn’t require authentication. Otherwise, it is only accessible to the project owner. Ban the user with the given id. This endpoint is only accessible to staff. Offboard the user with the given id. This endpoint is only accessible to staff. The avatar resource represents the avatar belonging to a user. A user can only have one avatar. Creates a new avatar for the user with the given ID. This endpoint returns an error if the user already has an avatar. This endpoint is only accessible to oneself. The Content-Type must be multipart/form-data. Updates the avatar with the given ID. This endpoint is only accessible to the owner of the avatar. Deletes the avatar with the given ID. This endpoint is only accessible to the owner of the avatar. Users may add social websites links to their profile. Links may also be attached to proposals. Creates a new link. This endpoint is anonymously accessible. Creates a new link for the user with the given ID. This endpoint is only accessible to oneself. Updates the link with the given ID. This endpoint is only accessible to the user the link belongs to. Deletes the link with the given ID. This endpoint is only accessible to the user the link belongs to. Retrieves all the links that belongs to the user with the given ID. This endpoint is only accessible to oneself. By default, users receive notifications when certain events happen. The list of those notifications can be read via the list user notifications endpoint, and updated via the update user notifications endpoint. By default, users also receive notifications when a news is published in one of the projects they are fan of. Those notifications can be read via the list user projects endpoint, and updated via the update project notifications endpoint. Retrieves all the notifications for the user with the given ID. This endpoint is only accessible to oneself. Updates the notifications for the user with the given ID. This endpoint is only accessible to oneself. Updates the authenticated user notifications for the project with the given ID. The project resource represents a project hosted on Ulule. There are two types of project on Ulule and they have different objectives: projects of type project are for collecting a certain amount of money, and projects of type presale are for receiving a certain number of pre-orders. Retrieves the project with the given ID. Updates the project with the given ID. This endpoint is only accessible to the project owner. In addition, the following fields can’t be updated after the project has been validated by the moderation team, they can only be updated when the project status is one of new, pending and pending-owner. Finally, the following fields can’t be updated by the project owner, they can only be updated by staff users. Submits the project for review to the moderation team. This endpoint is only accessible to the project owner. The project status must not be pending. Publishes the project and make it publicly visible. This endpoint is only accessible to the project owner. The project status must be validated. The project owner may update the date_end and timezone fields. The date_end field can’t be updated to a date that is more than 5 days before or after the original date_end or current day plus nb_days: old date_end - 5 < new date_end < old date_end + 5 where old date_end is the previous date_end or current date + nb_days if date_end is null. The date_end field must be set for a project to go online. Unpublished the project. This endpoint is only accessible to staff. This endpoint is typically used when the project owner mistakenly published the project too soon. Moderate the project. This endpoint is only accessible to staff. This endpoint is used for the project moderation. Retrieves all the projects that have a partnership with the partner with the given slug. This endpoint is only accessible to partner users. Retrieves all the projects related to the user with the given ID. state Kind of relationship between the user and the projects. Can be one of online, supported, followed, created. created is only accessible to oneself. Projects have one discussion thread where the project owner and the moderation team can talk to each other. The two following endpoints allow staff users that are not in the recipient list to read and join the project discussion thread. GET /v1/projects/:id/messages where :id is the project ID. POST /v1/projects/:id/join-thread where :id is the project ID. Users can like projects to receive notifications. Project owners and backers automatically like a project, and cannot unlike it. POST /v1/projects/:id/like where :id is the project ID. POST /v1/projects/:id/unlike where :id is the project ID. There are two kinds of tag. The main ones are categories and can be used as a project main tag. The secondary ones are subtags, they always belong to a category and can be used as project tags. Retrieves all tags (categories and subtags). Retrieves all the subtags that belong to the category with the given ID. Retrieves all the tags of the project with the given ID. This endpoint is only accessible if the project status is online, or if the authenticated user is the project owner. Creates an image. This endpoint is only accessible to the project owner. Updates an image. This endpoint is only accessible to the project owner. Deletes an image. This endpoint is only accessible to the project owner. Retrieves all images that belong to the project with the given ID. The project owner can add a video to the project. The video will be displayed on the project page. A project can’t have more than one video per language. The video resource also contains the following oEmbed fields. Creates a video. This endpoint is only accessible to the project owner. Updates a video. This endpoint is only accessible to the project owner. Deletes a video. This endpoint is only accessible to the project owner. Retrieves all videos that belong to the project with the given ID. Retrieves the reward with the given ID. This endpoint is only accessible if the related project status is online, or if the authenticated user is the project owner. Creates a new reward for the project with the given ID. This endpoint is only accessible to the owner of the related project, but not when the project status is one of pending-final-validation, validated and online. The idea behind that restriction is that it’s not possible for a project owner to add more rewards to the project after it has been validated by the moderation team. Updates the reward with the given ID. This endpoint is only accessible to the owner of the related project and if the project is not finished. Deletes the reward with the given ID. This endpoint has the same restriction as the create-reward endpoint. Retrieves all the rewards that belong to the project with the given ID. This endpoint is only accessible if the project status is online, or if the authenticated user is the project owner. The variant resource is almost the same as the reward resource. It has no has_shippings, shipping_int, shipping_nat, shippings fields, as a variant always has the same shipping costs as its parent reward. It also has no variants field. Creates a new variant for the reward with the given ID. This endpoint has the same limitations as the create-reward endpoint. Updates the variant with the given ID. This endpoint has the same limitations as the update-reward endpoint. Deletes the variant with the given ID. This endpoint has the same limitations as the delete-reward endpoint. Retrieves all the variants that belong to the reward with the given ID. This endpoint is only accessible if the related project status is online, or if the authenticated user is the project owner. Creates a new shipping for the reward with the given ID. This endpoint has the same limitations as the create-reward endpoint. Updates the shipping with the given ID. This endpoint has the same limitations as the update-reward endpoint. Deletes the shipping with the given ID. This endpoint has the same limitations as the delete-reward endpoint. Retrieves all the shippings that belong to the reward with the given ID. This endpoint is only accessible if the related project status is online, or if the authenticated user is the project owner. Project owners may add analytics tags to their project to collect data. At the time of writing, only Google Analytics, Facebook pixel and Twitter are supported. Creates a new analytics tag for the project with the given ID. This endpoint is only accessible to the project owner. Updates the analytics tag with the given ID. This endpoint is only accessible to the project owner. Deletes the analytics tag with the given ID. This endpoint is only accessible to the project owner. Retrieves all the analytics tags that belong to the project with the given ID. This endpoint is only accessible if the project status is online, or if the authenticated user is the project owner. The account resource is where project owners declare their legal status and bank details in order to get the funds after their project has been successfully funded. Let the project owner visit the edit account page at edit_url and fill all the required fields. The web page behind edit_url can be customized with the logo_url and return_url url parameters. Retrieves the account with the given ID. This endpoint is only accessible to the account user. Project owners may add news to their project to keep the crowd updated during and after the funding campaign. Retrieves the news resource with the given ID. This endpoint is only accessible if the news status is online, or if the authenticated user is the project owner. Creates a news for the project with the given ID. This endpoint is only accessible to the project owner. Updates the news with the given ID. This endpoint is only accessible to the project owner. Deletes the news with the given ID. This endpoint is only accessible to the project owner. Status must be waiting. Retrieves all the news resources that belong to the project with the given ID. This endpoint is only accessible if the project status is online, or if the authenticated user is the project owner. Sends an email to the author of the news with the given ID. This endpoint is only accessible to the news author. The purpose of this endpoint is for the news author to see how the news looks like inside an email. Publishes the news with the given ID. This endpoint is only accessible to the project owner. The news status must be waiting. This endpoint does two things: it sets the news status to online and sends the news via email to every supporters of the project. Unpublishes the news with the given ID. This endpoint is only accessible to the project owner. The news status must be online. Users may post comments on projects and news, and also reply to comments. We currently support only one level of replies: it’s possible to reply to a parent comment, but it’s not possible to reply to a reply comment. Creates a comment on the project with the given ID. Creates a comment on the news with the given ID. Creates a reply to the comment with the given ID. The comment must be a parent comment. Updates the comment with the given ID. This endpoint is only accessible to the comment author. Deletes the comment with the given ID. This endpoint is only accessible to staff. Retrieves all the comments on the project with the given ID. Retrieves all the comments on the news resource with the given ID. Retrieves all the replies to the comment with the given ID. Project owners can export data about their projects, typically for bookkeeping. At the time of writing, only exports of type orders are available. The export file format can be csv or xlsx. The project owner creates an export. The export is created asynchronously. Its status goes from waiting to processing to succeeded, it can also be failed or cancelled by the staff. The project owner receives an email with the export file attached. Retrieves the export with the given ID. This endpoint is only accessible to the owner of the related project. Creates an export for the project with the given ID. This endpoint is only accessible to the project owner. The export columns object is a JSON object whose keys are the columns to be exported, and whose values are the headers of each column in the export. For example, if the columns payload field has the following value, the export only includes the order ID, the user email and the reward description, with the given header values. "order.reward.description": "Description de la contrepartie"
Retrieves the order with the given ID. This endpoint is only accessible to the order author. Creates an order for the project with the given ID. Set the order amount to a value greater than or equal to the project lowest contribution amount. Select one project reward and optionally set the order amount to a value greater than or equal to the reward price. Backers must select at least one or more rewards. Updates the order with the given ID. This endpoint is only accessible to the order author. Cancels the order with the given ID. This endpoint is only accessible to the order author. Retrieves all orders belonging to the user with the given ID. This endpoint is only accessible to oneself. This endpoint accepts the extra_fields=project query parameter. If present, the project resource is embedded in the order resource. Retrieves all orders belonging to the project the given ID. This endpoint is only accessible to the project ower. Backers may be required to create addresses resources to be used with orders. Retrieves the address with the given ID. This endpoint is only accessible to the address owner. Creates an address for the user with the given ID. This endpoint is only accessible to oneself. Updates the address with the given ID. This endpoint is only accessible to the address owner. The country can not be updated if the address is the shipping address of an order with shippings. Deletes the address with the given ID. This endpoint is only accessible to the address owner. Retrieves all the addresses owned by the user with the given ID. This endpoint is only accessible to oneself. To launch a project on the Ulule platform, users must first go through the proposal process. Retrieves the proposal with the given ID or token. This endpoint is only accessible to the proposal user if the path parameter is the proposal ID, and it is anonymously accessible if the path parameter is the proposal token. Creates a proposal. The POST /proposals endpoint is anonymously accessible. In case a user is authenticated, he or she automatically owns the created proposal. The POST /users/:id/proposals is only accessible to the user with the given ID, who automatically owns the created proposal. Updates the proposal with the given ID or token. This endpoint is only accessible to the proposal user if the path parameter is the proposal ID, and it is anonymously accessible if the path parameter is the proposal token. List all the proposals of the user with the given ID. This endpoint is only accessible to oneself. List all the proposals of the partner with the given slug. This endpoint is only accessible to staff. List the references of the proposal with the given ID. This endpoint is only accessible to the proposal user. List all proposals. By default, this endpoint list all proposals with status new. This endpoint is only accessible to staff. Validates the proposal with the given ID. It changes the proposal status to valid and creates a new project from the proposal. This endpoint is only accessible to staff. One of the answer and answer_html fields must be present in the payload. Refuses the proposal with the given ID. It changes the proposal status to invalid. This endpoint is only accessible to staff. Suspends the proposal with the given ID. It changes the proposal status to waiting. This endpoint is only accessible to staff. Retrieves the partner with the given ID. Retrieves the partnership with the given ID. This endpoint is only accessible to partner users. Creates a new partnership for the project with the given ID. This endpoint is only accessible to staff. Updates the partnership with the given ID. This endpoint is only accessible to staff. Deletes the partnership with the given ID. This endpoint is only accessible to staff. Retrieves all the partnerships of a project. This endpoint is only accessible to the project owner and the partner users. Projects can have up to 4 sponsorships. Retrieves the all the sponsorships of a project. Webhooks allow partners to receive notifications about events happening on the Ulule platform. When an event occurs, for example when a order succeeds, Ulule creates an Event object. This object contains all the relevant information, including the type of event and the URI of the resource associated with that event. Ulule then sends the Event object in the body of an HTTP POST request to the registered URL of a partner. Configuring a server to receive webhooks is very close to creating a new page on a website. With PHP, you might create a new .php file on your server. With a framework like Flask, you would add a new route with the desired URL. Remember, with webhooks, your server is the server receiving the request. All discussions API access is over HTTPS, and accessed from the discussions.ulule.com/api endpoint. Data is sent and received as JSON, except file uploads. This separate API contains resources from Ulule API. Retrieves all the threads where the authenticated is a recipient, ordered by updated_at. Retrieves the thread with the given ID. This endpoint is only accessible to the thread recipients. Updates the thread with the given ID. This endpoint is only accessible to the thread owner. Marks the thread with the given ID as read. This endpoint is only accessible to the thread recipients. Marks the thread with the given ID as unread. This endpoint is only accessible to the thread recipients. Marks the thread with the given ID as deleted. The user won’t receive notifications if new messages are sent. This endpoint is only accessible to the thread recipients. Leaves the thread with the given ID. The user is removed from the thread recipients. This endpoint is only accessible to the thread recipients. The thread sender can’t leave a thread. Runs a bulk operation on a list of threads. This endpoint allows user to perform the same operation on a bulk of threads. The operation is atomic, i.e. if the operation fails for one thread in the list, it is a no-op for all threads. A recipient resource is a user resource. Retrieves recipients of the thread with the given ID. This endpoint is only accessible to the thread recipients. The message status field can be either draft or sent. A draft message is only visible to its sender. In case a user needs to add attachments to a message, the typical workflow is to first create a draft message, then create the attachments, and eventually send the message. Creates a message for the thread with the given ID. This endpoint is only accessible to the thread recipients. One of the body and body_html fields must be present in the payload. Updates the message with the given ID. This endpoint is only accessible to the message sender. Sends the message with the given ID. This endpoint is only accessible to the message sender. The message status must be draft. Retrieves all the messages of the thread with the given ID, ordered by sent_at. This endpoint is only accessible to the thread recipients. Creates an attachment for the message with the given ID. This endpoint is only accessible to the message sender. Deletes the attachment with the given ID. This endpoint is only accessible to the sender of the message associated with the attachment. The q query parameter may contain any combination of keywords and the following search qualifiers. When I visit a project page on the Ulule website, I see the following message: “This project was taken offline at the request of the project owner”. What does that mean and is there a corresponding field in the project resource? Projects owners can decide to cancel their project at any time for any reason. In that case the project is still considered online (is_online in the project resource) but the content is not visible and there can be no orders. The corresponding field in the project resource is is_cancelled. How can project owners add images to their project description? That’s what the images of type secondary are for. Upload the image via the create image endpoint. Edit the project description via the update project endpoint, add the full version of the image. Why is the reward.delivery_date field required? We consider that when a project is launched on Ulule, it is a commitment for the project owner to deliver the rewards, even the symbolic ones. What is the distinction between account.is_completed and account.status? Why allowing a project owner to submit a project when is_completed is set to true, but status is not yet succeeded? is_completed is automatically set when the project owner has completed all required fields in the account form. status is automatically set when the account validation succeeds or fails. The account validation process can take some time (~1 working day) and the project owner doesn’t have any progress information about it so it doesn’t make sense to forbid the project submission. It is the role of the project manager to check the account form. The manager should wait for the account to be validated before validating the project. In case of an invalid account, the manager can ask the project owner to go back to the account form to edit the information. It may be possible for a project to be validated and to go online before the account is validated, especially if the project owner wants to launch ASAP. This is up to the appreciation and judgement of the project manager. How can a project owner remove the image field of an image of type background, to only have the background color? Indeed it’s not possible to set the image field of a background image to null because the payload format is form-data. The way to go is to delete the image resource before creating a new one. What happens if, during the campaign, a project owner wants to switch the account type, for example from individual to business? It’s not possible for the project owner to create a new account if the project status is validated or online. In such a case, the project owner must ask to the project manager. Why is the project.nb_products_sold field different from the sum of reward.stock_taken fields ? For project of type presale, the nb_products_sold field is the number of orders. A baker can choose to create an order with any quantity of a reward. This documentation is built with Hugo, and continuously deployed via CircleCI. The source is hosted at https://github.com/ulule/developers.ulule.com.